Brown gold copper color mixed kitchen backsplash tiles with Santa Cecilia granite countertop and brown kitchen cabinets. 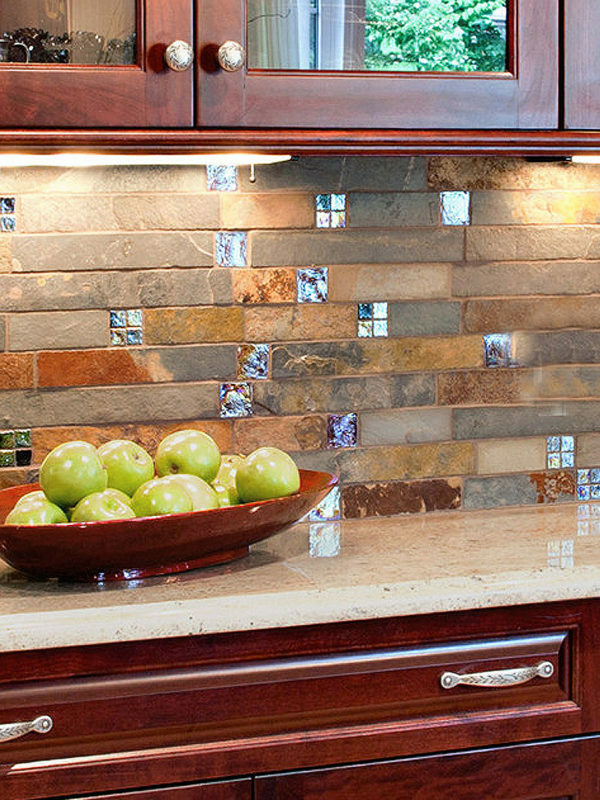 A Rich color combination of the kitchen backsplash tile made a connection between kitchen countertop and kitchen cabinet. 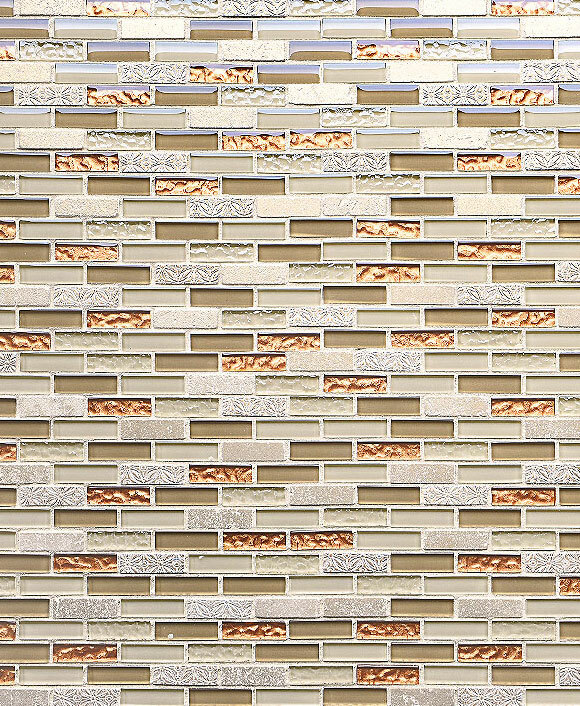 Brown glass stone tile mix stone and glass backsplash tile. This entry was posted in BEIGE, BROWN, GLASS, GLOSSY, MOSAIC, TUMBLED HONED, YELLOW. Bookmark the permalink.